Both long-time Australian residents with strong ties to their Vietnamese heritage, Khai Ngo and Thao Nguyen were motivated by their multinational backgrounds to encourage young people from the two nations to connect and collaborate. Given that Vietnam and Australia are close both diplomatically and geographically, despite being on entirely different continents, there is plenty to talk about. 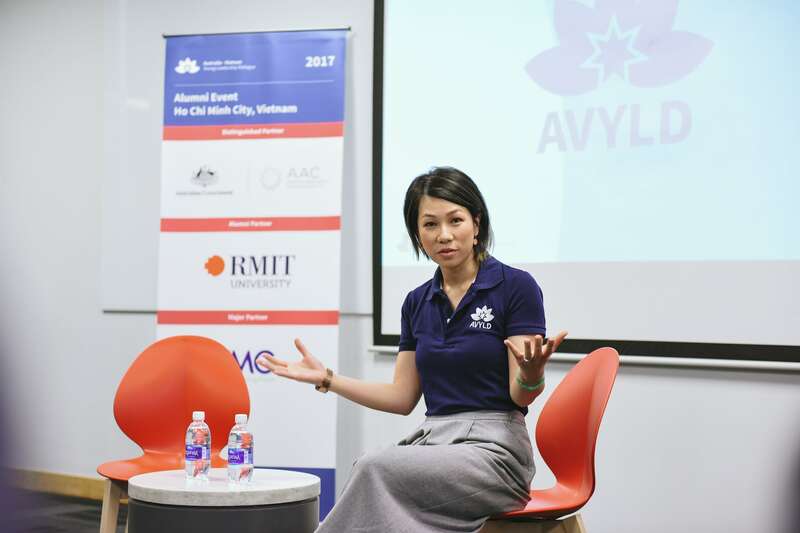 The Australia-Vietnam Young Leadership Dialogue’s inaugural 2017 event included talks and speakers on business, international relations, non-profits, and the arts. 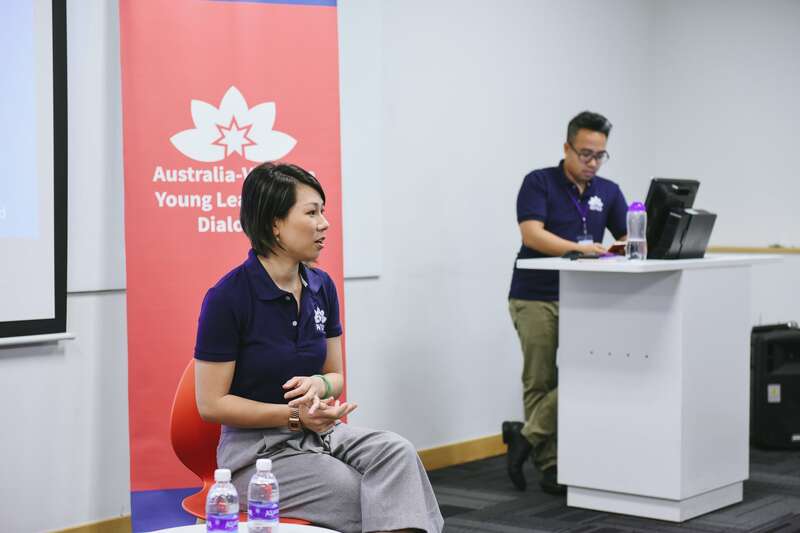 “We hope that this program can shape their journeys as they contribute to the prosperity of both nations,” explain the co-founders of the Australia-Vietnam Young Leadership Dialogue program. Through the program, delegates have the opportunity to travel between the two countries, some for the very first time. With esteemed partners from UTS: SEARCH to the Australian Government, founders Thao and Khai and their team have spearheaded discussions between the most promising youth in Vietnam and Australia. To learn more about their vision for the future relationship between Vietnam and Australia, we ask Thao and Khai to share about growing up as young Vietnamese in Australia, founding an internationally focused non-profit, and inspiring young people to talk about global issues. We meet with one of the founders of the AVYLD, Thao Nguyen. Could you tell us more about the paths that led you to co-found the Australia-Vietnam Young Leadership Dialogue program? Where did you grow up, and what got you interested in Australia-Vietnam relations? Khai: I arrived in Australia with my mother as a refugee in 1989, and we settled in Bankstown, New South Wales, Australia. I grew up in a household where Vietnamese was the only language we spoke and Vietnamese food was all we knew. I was lucky to be raised surrounded by family in the area. We were able to, together, keep our Vietnamese culture alive and relevant. After visiting Vietnam for the first time at 19 years old, I felt even more connected to my heritage. I learned about where my culture came from, about the country’s rich history and all of its modern potential. My life has been shaped by my Australian-Vietnamese identity. Being a part of AVYLD has been essential to nurturing this connection. Thao: I was born in a refugee camp in Thailand and arrived in Australia in 1980. Growing up, my parents were very traditional and very proud of our Vietnamese culture. They taught me how to read and write in our language. They didn’t allow me to change my name to a Western one, because they wanted our identities to be strongly rooted in Vietnamese culture. I was always interested in Vietnam. When I arrived in Vietnam in 1991 for the first time, I had an amazing experience discovering where my heritage had come from, and I even met my extended family and grandparents. 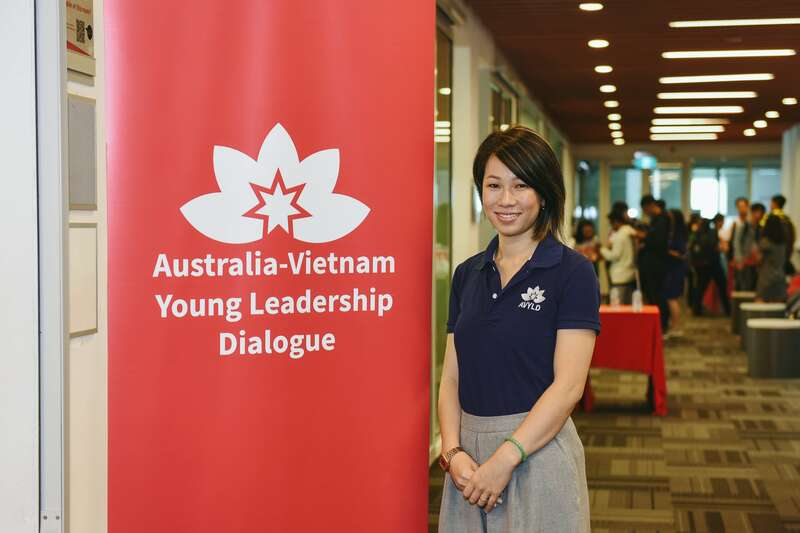 Give us your elevator pitch for Australian Vietnam Young Leadership Dialogue Program. Who are you targeting, and what do you hope to accomplish through the program? 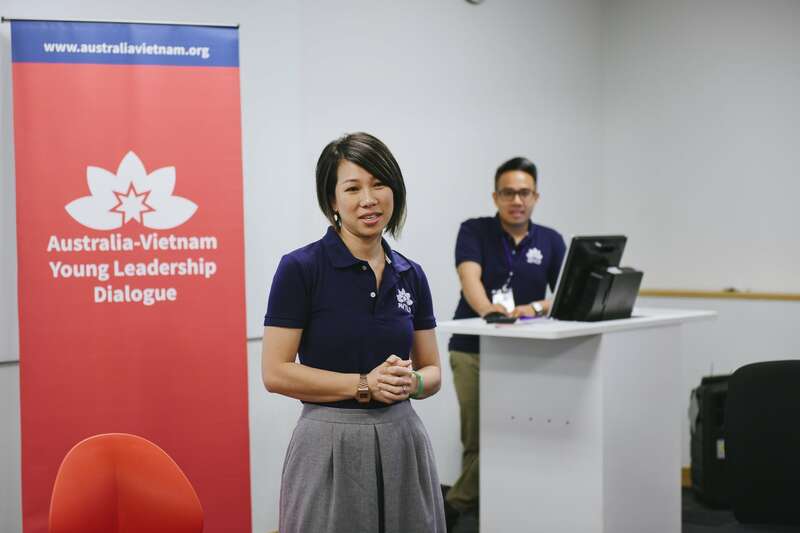 The Australia-Vietnam Young Leadership Dialogue Program targets emerging leaders aged 25-35 from both Australia and Vietnam whom we believe will have significant impacts in their respective countries over the next 10 years. Our participants don’t have to be in business, nor do they have to be anyone famous. We’re just looking for visionaries across disciplines. We hope that this program can shape their journeys as they contribute to the prosperity of both nations, as well as in this region of the world. These people form a powerful network of open-minded change makers and influencers, and our alumni say they consider their fellow participants to be a second family. In founding and maintaining this non-profit, what were some of the most challenging moments? How did you get past them? The two biggest challenges we faced were building the right team and getting proper funding. At the beginning, we didn’t have a track record, so it was difficult to source a team of volunteers with the right skills, passions, and commitment. We had to reach out through our own personal and professional networks as well as social media in order to build a dedicated crew. After securing financial support from the Australian Department of Foreign Affairs and Trade through the Australia ASEAN Council, our affiliation with them gave us a flagship sponsor that could lend us credibility. What drove the Australia-Vietnam Young Leadership Dialogue team to create this together? We each saw that Australia already had young leadership dialogues with key trading partners such as China, US, Indonesia, and India. The relationship of Vietnam with Australia has evolved over the last several decades, and where they were once warring enemies they are now strategic partners in diplomatic terms. They’ve achieved the highest level of partnership. We, with Vietnamese heritage and with the good fortune to have grown up in Australia, have a duty to support those who want to work toward bettering the relations between Australia and Vietnam. Our desire was to create a powerful network of leaders that can have an impact that goes beyond what any one person can accomplish. We wanted to see young leaders of both countries enter a journey with us as individuals then leave the program as a group of changemakers devoted to creating a better future for all of us. What have been the most rewarding projects in your careers? Thao: I can count a number of career highlights. For example, I was the first Australian of Asian descent, and with a Vietnamese background, to be selected as the Australian Youth Representative to the United Nations General Assembly. Then in 2018, at the invitation of the Bill and Melinda Gates Foundation and as a writer for the 2018 Global Goalkeepers report, I went to New York to attend a conference with young people from around the world. This year I started my own company, Global Ready. And through leadership development and cultural intelligence, I hope to bring more kindness into this world. Khai: Right now, I am the Chairperson of Bankstown Youth Development Service, a community and youth arts organisation based in Bankstown and Sydney. Our core mission is to deliver and support projects that address local issues such as domestic violence, refugee welfare, indigenous culture, and multiculturalism in general. These projects are often led by young artists, and we try to involve as many young people as possible. Without a doubt, working on the Australia-Vietnam Young Leadership Dialogue project has been one of the highlights of my career. Through it, I can combine my passions for youth development, leadership development, and Australia-Vietnam relations. What are some of the most exciting themes to watch for in Australia-Vietnam relations right now? Vietnam and Australia signed a strategic partnership in early 2018, the highest level of diplomatic involvement. We were invited to attend an intimate lunch with both Prime Ministers when they met to sign the partnership. It was such an honor to be seated at their table. Since then, there have been a number of groundbreaking agreements signed regarding education, science, and innovation. Australia even announced that they plan to contribute millions of USD that will go toward Vietnam’s technological innovation. People should look out for future collaborative efforts in areas like trade, research, and continued innovation. Where do you see the Australia-Vietnam Young Leadership Dialogue foundation in five years? Do you have specific long-term goals? We see AVYLD as a self-sustaining organization which will support changemakers in reaching their personal goals. We’ll continue to host our dialogues every two years, then have more activities in between these big events in order to better engage with the public and impact policy. What is one thing most people don’t know about Australia-Vietnam relations? Firstly, as of 2018 Vietnam is the fifth-largest source of international high school students in Australia. Also, the Governor of the State of South Australia, who represents the Queen in that state, is Vietnamese-born. His name is Le Van Hieu. Finally, most people probably don’t know is that Australia established an embassy in Hanoi back in 1973, formalizing diplomatic ties with Vietnam long before most countries were represented. There are a number of Australia-Vietnam Young Leadership Dialogue program alumni that have already begun contributing to the two countries’ bilateral relations. There’s Huong Dang who, as a result of AVYLD, started a social enterprise called HopeBox to help victims of domestic violence in Vietnam. Phillip Nguyen, another alumnus, is trying to create a sister-city relationship between Gold Coast in Queensland, Australia, and Nha Trang in Vietnam. This is in response to the recent privatization of Nha Trang’s Cam Ranh International Airport. Finally, you should try to speak with Craig Chittick, the Australian Ambassador to Vietnam. He has done amazing work during his time as ambassador in bridging divides between the two countries.